I live about twenty-five miles out of Missoula, Montana, but I’m a snow chicken who spends winters at the beach in California—definitely the best of both worlds. I’m a workaholic. Writing is my passion, which works fairly well since my husband is also a writer. Traveling is my favorite thing to do when I’m not working. They just sort of come…I’m a news junkie so I know what is going on in the world. I’m also a good researcher, which stirs up ideas. Add to that, I love movies and TV shows. They give you kernels that turn into ideas which you can expand. What are the scenes that are the hardest for you to write? Why? Description and characterization. They bore me. I love writing action and romance. Just for a change of pace, I’d choose Lee Child, Danielle Steel, and John Grisham because they are mega-successful bestselling authors. I would hope to learn something. I’ve met Nora Roberts a number of times and heard her speak often or she would be on my list as well. Here’s how I describe it: Take death threats against ten of La Belle‘s most beautiful lingerie models as they travel the country on a widely publicized fashion show tour, mix with macho bodyguards, throw in murder, mayhem, copycat killers, and millions of dollars in diamonds, and you have INTO THE FURY, my newest Brodie novel. This is Ethan’s story as he goes toe-to-toe with Valentine Hart in a novel of intrigue, action, and steamy romance. What was one of the most surprising things you learned in creating INTO THE FURY? I learned a lot about the lingerie modeling business—think Victoria’s Secret. I learned how difficult it is to be a top model and that they are very smart women as well as being beautiful and having perfect bodies. Just the notes the top ten models received—until one of them is murdered. Why does Ethan tell himself to back away from Val? There is a no fraternization rule—none of the employees are allowed to mix with the models. It’s automatic dismissal. Also, Val is a close friend of Samantha Brodie, Ethan’s cousin Nick’s wife. He doesn’t want to cause problems with his family. It’s the secret that puts them all in danger. Is it aimed at Valentine? What are the names of all the books in this series? 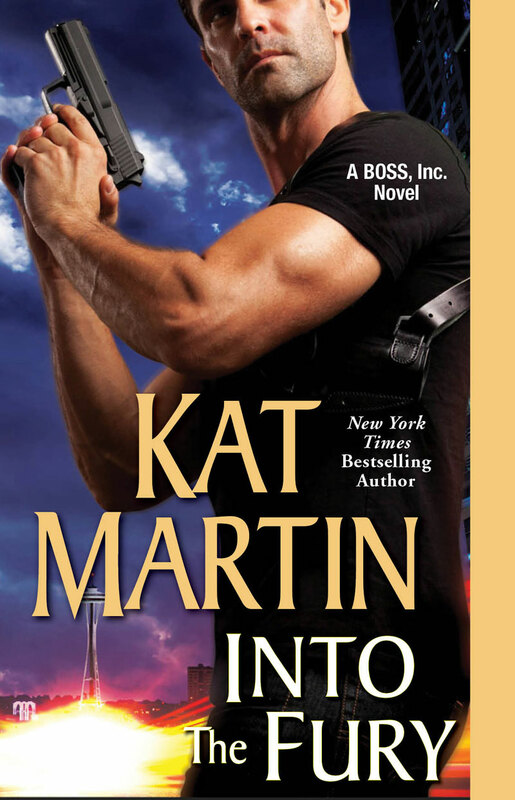 INTO THE FURY, INTO THE WHIRLWIND (Dirk and Meg’s story), and INTO THE FIRESTORM, which features Ethan’s brother Luke, a bounty hunter, and Emma Cassidy, a lady hunting the same killer as Luke.